As India announced the test squad for the Silver Jubilee 25th test series against the Aussies, at home, all eyes are on Kohli vs Smith war. 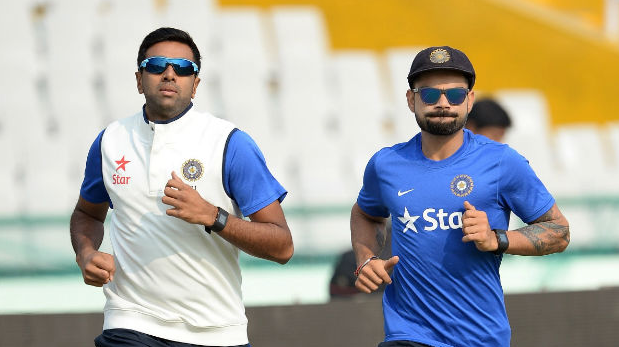 The young Indian test squad has two players awaiting debut, while only 7 have bowled in test cricket before and Murali Vijay has grabbed one test wicket. He got Moeen Ali leg before wicket at Lord’s in 2014 test. With 54 test and 4451 runs, Virat Kohli is the most experienced player in the squad. Check the squad for 1st and 2nd test and their test records in batting and bowling.